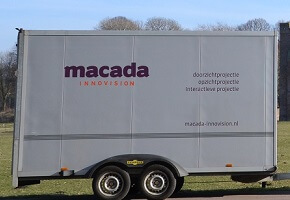 From the very beginning of Macada Innovision – in 1996 – we have been the sole distributor of Draper projection screens in the Netherlands. Draper Group is originally an American company. We work together with the mother company Draper Inc. USA and sometimes with its European branches. More information about Draper projection screens can be found here.